Released two-letter domain names by Sweden! There are a number of additional names which will be auctioned by the Swedish registry this fall. Those will include two-letter names corresponding to national codes as well as the names of countries. According to the information posted on the registry’s website, there will soon be allowed for registration such addresses as no.se, tv.se, pr.se or thailand.se and spanien.se. The list of blocked and claimed names for .se domain was developed in 2003 when registration of .se domain names became possible to applicants outside Sweden. It is expected that within the next three years, most of the names on the list will be available for registration. In the past, the registry freed numerical domains in 2006 and geographic names were released in 2008. So far, the domains were released on a first-come, first-served basis. 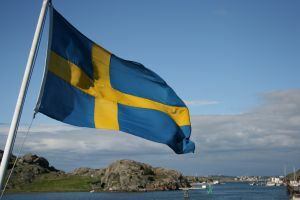 This time, according to the procedures laid down in 2013, domain names will be auctioned off and the proceeds from the auction will be donated to a number of initiatives connected with the development of the Internet in Sweden. - Swedish names of countries.